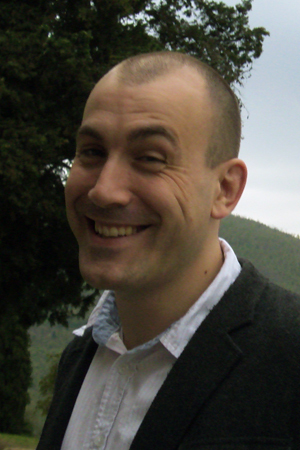 Daniel Soule is a freelance academic and director of Grammatology, a training organisation specialising in supporting researchers to write and publish. He works with researcher writers across the UK, Ireland and Norway. Dan has a PhD himself, from the University of Glasgow, and has also co-authored a monograph, Political Discourse and National Identity in Scotland. You know what it’s like? You use it every day but you’ve never read the manual, so you can use it pretty well, maybe even workout most of the functions, but you never really use it to its full potential. Whatever it is, a TV or computer, a mobile phone or hadron collider, or a paragraph. Wait! A paragraph? Think about it. How many paragraphs have you written? Thousands upon thousands, but have you ever stopped to think about what they are, what they are supposed to do, or what they could do if only you’d read the manual? The first sentence situates for the reader the issue that will be presented: ‘debates about climate change are characterised by an enormous amount of uncertainty’ despite ‘the well-established body of scientific evidence’. The second sentence then gives a further elaboration of the topic sentence, with a ‘This is because…’ statement. After this the paragraph presents two elaborating sentences: firstly, a while much is known ‘uncertainties remain’ statement, completed with the next sentence which mirrors the binaries of the previous point, ‘Some are quantifiable… but others are harder to pin down.’ The paragraph ends with a concluding statement, indicated by an appeal to generality (‘As in any other scientific discipline’) and finished with a characterisation of uncertainty, as an indicative and positive feature of scientific exploration, which will then be used as a foil against which the antithetical ‘public’ debate will be set (in the rest of the paper). Present the topic sentence – introducing the main point; link semantically with the previous paragraph. Elaborate or explain the main point. Indicate how this illustrates your initial point. Models alone aren’t good manuals. You also need to know how to put it together. Perspective on the writing process would help here. Initially, paragraphs are produced whilst making a first draft. However, first drafts are typically unpolished and experimental. They are usually the place where you articulate your thoughts for the first time. For this reason, first drafts often produce paragraphs that contain the gist of the idea but not its best formulation. Topic sentences can be ill defined, or appear halfway down or at the end of a paragraph as you work things out. Sometimes competing candidates for the topic sentence appear as you try different formulations. Sometimes two paragraphs run together because the ideas are connected but need breaking apart. And sometimes an idea is repeated at different points through the text, as you return to it from different perspectives or relate it to a new bit of data. The answer is not to worry too much about first drafts – it’s hard enough finishing the first draft – but try to start out with topic sentences. The best piece of advice the paragraph manual can give you is to use the model of a paragraph above when editing the first draft. Firstly, read it through from start to finish just focusing on the paragraphs. Make sure every paragraph has a good topic sentence. Then edit the rest of the paragraph, looking for repetitions, tangents and other unnecessary pith. This should tighten up individual paragraphs considerably. However, the paragraph, when working most efficiently, is the key to good structure and flow, one idea seamlessly flowing to the next. Next, read your whole piece by only reading the topic sentences of each paragraph. Editorially this is useful: it enables you to see your argument in miniature, to see where you have repeated an idea in different places, to identify weak, ill-defined ideas, and to fix when you have jumped from one idea to the next, assuming too much of your reader. Using your topic sentences like this not only gives you a more objective editorial perspective on your work but also works as a tough test on the readability of your topic sentences. You’ve read the manual, at least the ‘Cliff Notes’ version. It’s not just about the end product but the process. Now go forth and use the paragraph as it should be used.